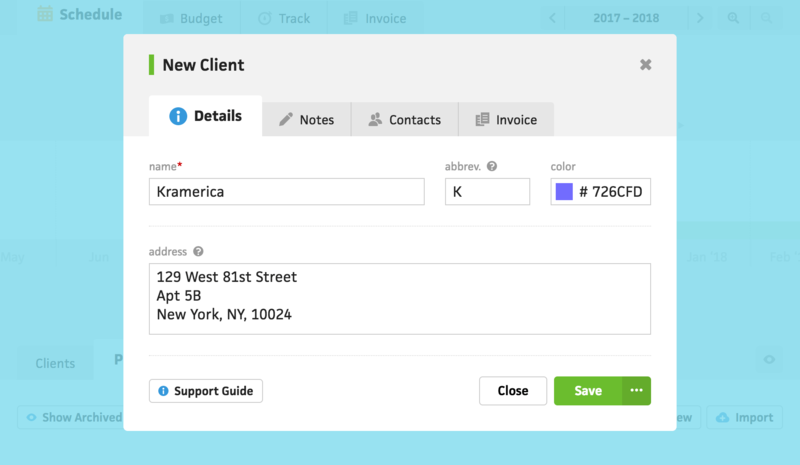 Since its launch, Cushion has had dedicated form pages for creating and editing clients, projects, invoices, etc. These originally worked well, but a problem popped up. What if you want to create a new project without leaving the current page? To adapt scenarios like this, we’ve started replacing form pages with inline forms. Now, when you create a new client or project, a window will appear on top of your current page, letting you create the item from that spot. When you hit save, the window will close and the page will update to reflect the addition or edit. We hope this feels more intuitive and reduces the number of clicks required to get the job done.